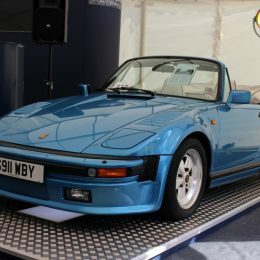 Silverstone Auctions achieved a record UK auction price of £245,250 for a 1989 Porsche 911 Turbo SE ‘Flat Nose’. 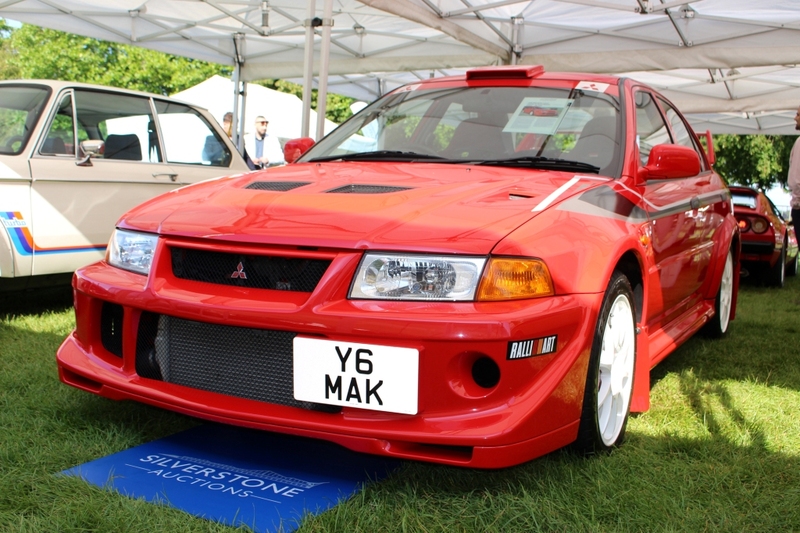 A Mitsubishi Lancer Evo VI ‘Tommi Makinen’ Edition sold for a record £46,688. 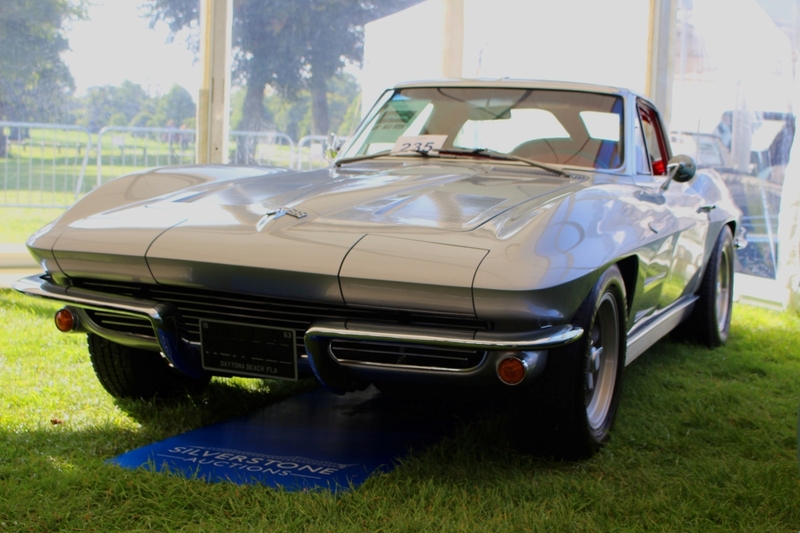 A 1963 Chevrolet Corvette Stingray ‘Split Window’ Coupé smashed the UK auction record after selling for £102,938. 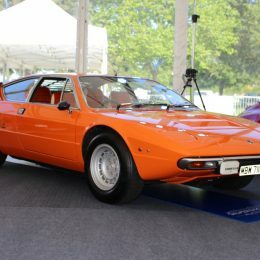 At one of the most glamorous sales of the year, a total of £2.75 million changed hands in one afternoon at the Salon Privé at Blenheim Palace on 2nd September. 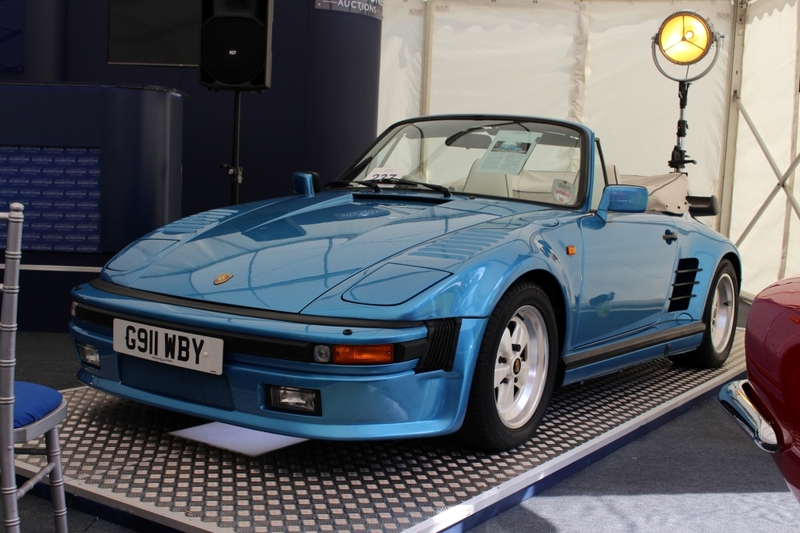 An extremely rare 1989 Porsche 911 Turbo SE ‘Flat Nose’ Cabriolet broke UK auction records when it sold for £245,250 including premium at the Salon Privé Sale organised by Silverstone Auctions at Blenheim Palace on 2nd September 2017. One of only 10 made, the UK specification Minerva blue ‘Flat Nose’ is one of the scarcest examples in existence, and considered by many to be the ‘holy grail’ of 930-type 911s. With an original pre-auction lower estimate of £190,000, bidding for the rare 911 was frenetic and after a dramatic standoff between room and phone bidders the final price drew ecstatic applause when the hammer finally fell in favour of a room bidder. 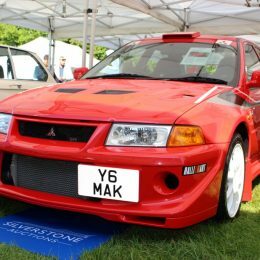 Another UK auction record fell earlier in the afternoon when a two-way bidding war erupted between room and internet bidders for a highly desirable Mitsubishi Lancer Evo VI ‘Tommi Makinen’ edition, resplendent in the original colours of Makinen’s World Championship winning car. The Mitsubishi roared past its original lower estimate of £34,000 as the determined room bidder emerged victorious with a final price of £46,688 including buyer’s premium. 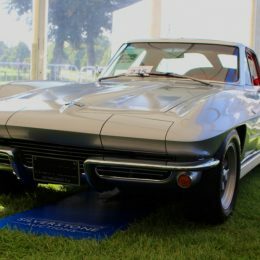 A 1963 Chevrolet Corvette Stingray ‘Split Window’ Coupé also attracted a great deal of attention and sold to applause for £102,938, almost £23,000 clear of its lower estimate and another UK auction record. American car fans were also impressed by multi-award winning 1969 Shelby GT500 which sold for an impressive £102,375. 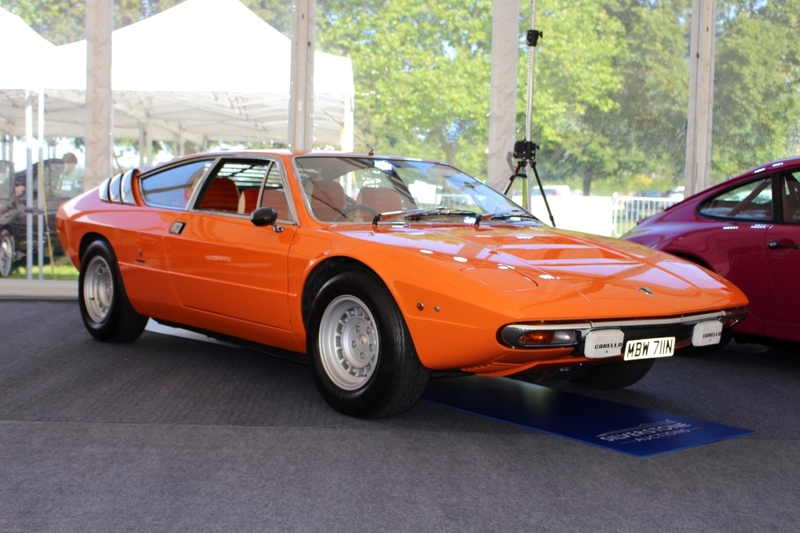 Enthusiastic phone and room bidding for a 1974 Lamborghini Urraco P250 pushed its price £11,000 beyond its lower estimate to sell for £96,188, drawing applause from the room, while its unusual stable mate, a Lamborghini 1R tractor, also attracted lively bidding to sell on the phone for £20,813. International interest was strong throughout the afternoon, with a 1972 Rolls Royce Corniche selling to Australia for £37,125, and a 1974 Porsche 911 S 2.7 finding a new home in California for an upper estimate beating £87,750. Classic Porsches performed strongly in the wake of the record-breaking ‘Flat Nose’ with a 1962 Porsche 356B 1600S Coupé selling for £118,125 and a 1960 356B ‘Super 90’ Cabriolet sailing past its £160,000 lower estimate to achieve a final sale price of £191,250 after a two way battle in the sale room. One of the longest and most intense battles of the afternoon came close to the end of the day for a 1988 Porsche 911 (930) Turbo Targa which was the subject of a war of attrition as a room bidder battled in vain against internet interest in £500 increments until the price reached a final £93,375, victory eventually going to the internet bidder. Silverstone Auctions achieved an impressive total of £2.75 million in sales on the day, with 52 per cent of the cars on offer finding a new home. With such a strong Porsche performance at Salon Privé, all eyes are now on the Porsche Sale organised by Silverstone Auctions at The Wing, Silverstone on Saturday, 21st October 2017.